As we grow, we'll be investing in Team Member development, enhancing our merchandise assortments, and expanding our information technology capabilities to better meet the evolving needs of our customers. At the same time, we will remain focused on our goal of returning value to our shareholders through sustainable growth strategies. We continue to expand to reach our long-term target of 2,500 stores. We also continue to help Petsense grow and serve customers in more areas across the country. Our Neighbor’s Club program gives members rewards, special offers and know-how exclusively for life out here. 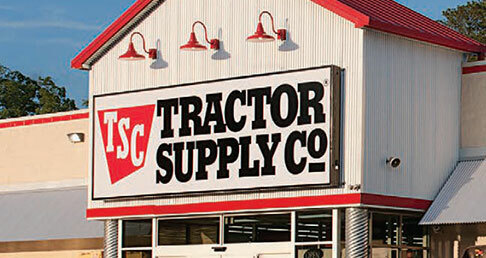 It’s our way of saying thanks for being our neighbor and visiting Tractor Supply for the supplies and practical advice you need. We have new Distribution and Mixing Centers on the horizon, allowing us to expand our supply chain capabilities and provide greater service and convenience to our customer. We're leveraging new technology to meet our customers' needs. Buy Online Pick Up In Store, Mobile Checkout, and the Stockyard ensure our customers can interact with us anytime, anywhere, and anyway they prefer.